We’re in American Patchwork & Quilting! Please note that these images are used with permission from American Patchwork & Quilting® magazine. ©2014 Meredith Corporation. All rights reserved. I drew the pattern; Linda chose the fabrics and made it so you have her to thank for the perky colors! This quilt makes me think of colorful little beach houses. It is happy and sunny! And AP&Q took amazing photos, as always :-). 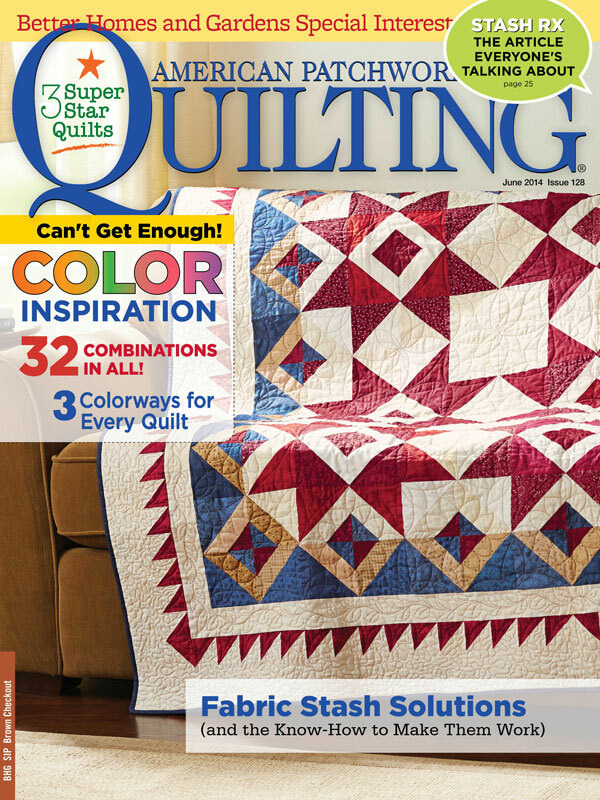 American Patchwork and Quilting always makes up the projects in the magazine in more than one colorway. 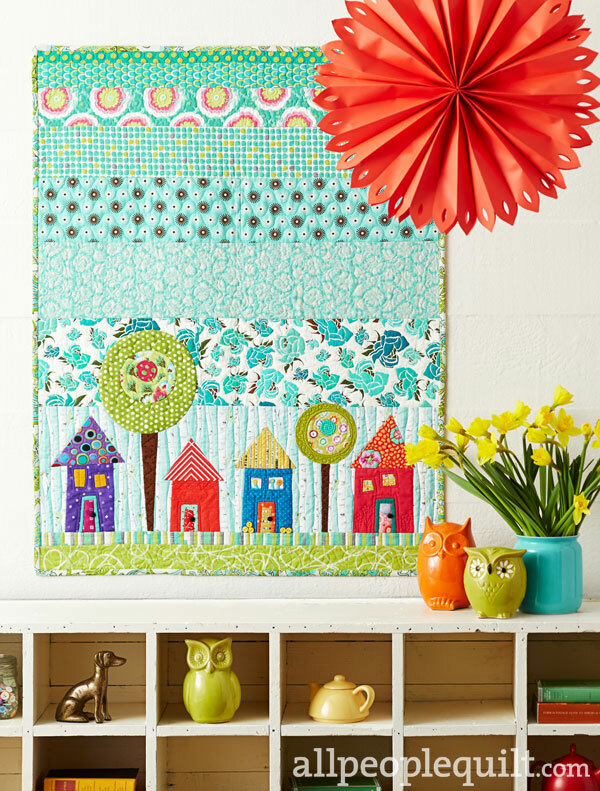 The alternate versions of this quilt are made from Benartex and Shannon fabrics. You’ll need to look at the magazine to see them… I haven’t even seen them yet! This entry was posted in Quilt Related and tagged American Patchwork & Quilting, applique, sewing by Becky Goldsmith. Bookmark the permalink. OH how cute!!!! I love this magazine and love your designs. I am sure this will be one I just HAVE TO make. Thanks for the preview! So cute!!!! I will keep a close eye out for this one.